It's been quite sometime since we last checked in on Blizzard's other "eSports" title, Heroes of the Storm. The game just relaunched on Tuesday as "Heroes 2.0" and some of the changes may seem familiar to all you Overwatch fans out there. Perhaps the biggest change to the game is the revamped character/player progression system. All level caps have been removed and each time you level a hero, now, you also gain a player level. Each time you gain a player level, you get a loot chest (sound familiar?) Those chests can contain a variety of cosmetic items, such as hero skins, emotes, sprays, and announcer packs, and you can use the in-game currency earned by playing (gold) to re-roll the contents if you didn't get that sweet Kerrigan skin you wanted. If you do get a duplicate item, it will automatically be converted into the new currency type, Shards. Shards are used exclusively for buying cosmetic items. In addition to the overhaul of the progression system, a new character (Genji from Overwatch) and a new map (Hanamura, which sees the opposing teams escorting payloads) have been added to the game. There are a number of changes to specific heroes that you can read about in the full patch notes. Regardless of how much Heroes of the Storm you've played up until now, you'll want to log in (it's free to download/play) before May 22, 2017. Blizzard is giving everyone 20 heroes for free just for booting up the game. Those heroes are bundled, and there are four different bundles from which to choose. On top of all that, if you play a few matches with your friends (this includes playing against A.I. opponents), then you can earn some rewards for both Heroes of the Storm and Overwatch via the Nexus Challenge. Just play five matches with a friend before May 22 and you'll get the Oni skin for Genji in Overwatch, and a sweet hovercycle mount for Heroes of the Storm. There are additional rewards you can earn by playing five matches with a friend every week until May 22, but those matches have to be against human opponents. 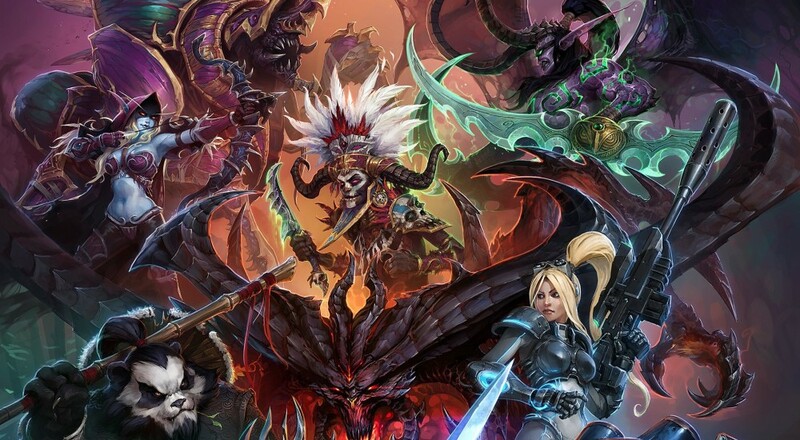 Heroes of the Storm is available now on PC and supports up to 5 players online in its "Vs A.I." mode.